Oklahoma City is the largest city in Oklahoma, but it wasn’t until the Seattle SuperSonics relocated to OKC in 2008, that the city was really put on the sports map of the United States. The Thunder have found success in the NBA, reaching the finals in 2012 and winning the Northwest Division 5 times in the past decade. The excitement of having a competitive NBA team has increased the popularity of sports betting among Oklahoma City residents. On this page I will address the legality of sports betting in OKC and also provide you with two popular sportsbooks that accept players from OKC. Is Sports Betting Legal in Oklahoma City? 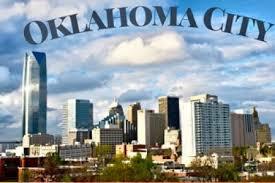 It is not legal to operate a sports betting operation in the state of Oklahoma. This includes both land based and online sportsbooks with operations in the state. While it’s illegal to operate a sportsbook in OKC, it is NOT illegal for OKC residents to sign up and bet on sports at offshore betting sites that accept American players. Betting sites that are regulated and licensed outside of the United States, like the two I outline below, are considered offshore betting sites which allows them to provide their betting services to American players. These two sportsbooks are easily the most popular and trusted betting sites targeting the United States sports betting market. I strongly suggest using one of these two sites if you are interested in betting on sports while located in Oklahoma City. Bovada.lv is our top rated betting site for American residents. Bovada is primarily focused on the USA sports betting market, and has built a betting platform that is catered towards the American player. This means the bet offerings, bonuses/promotions, deposits/withdrawals and customer service are all focused on USA players. Unfortunately, offline sports betting is not currently legal in the state of Oklahoma. That said, Oklahoma does allow you to bet on horse races at the tracks in the state, and OKC happens to have a quality track located right in the city. Remington Park is located in the north of the city in the Adventure District. The track features live American Quarter Horse, Pain and Appaloosa races from March to June, and Thoroughbred racing from August to December. You can bet on the races live at the track, while park is open for simulcast racing betting on all top tracks from across the country year round. The racetrack also hosts the $1,000,000 Heritage Place Futurity race in May, which is the richest race annually in Oklahoma. The Oklahoma Derby also takes place at Remington Park in the fall.